Only a couple more days of class until I'm packing up and heading to Indiana for Thanksgiving! There has been so much transition in my life and family the last few months, I can't wait to be together and live in the comfort of holiday traditions. 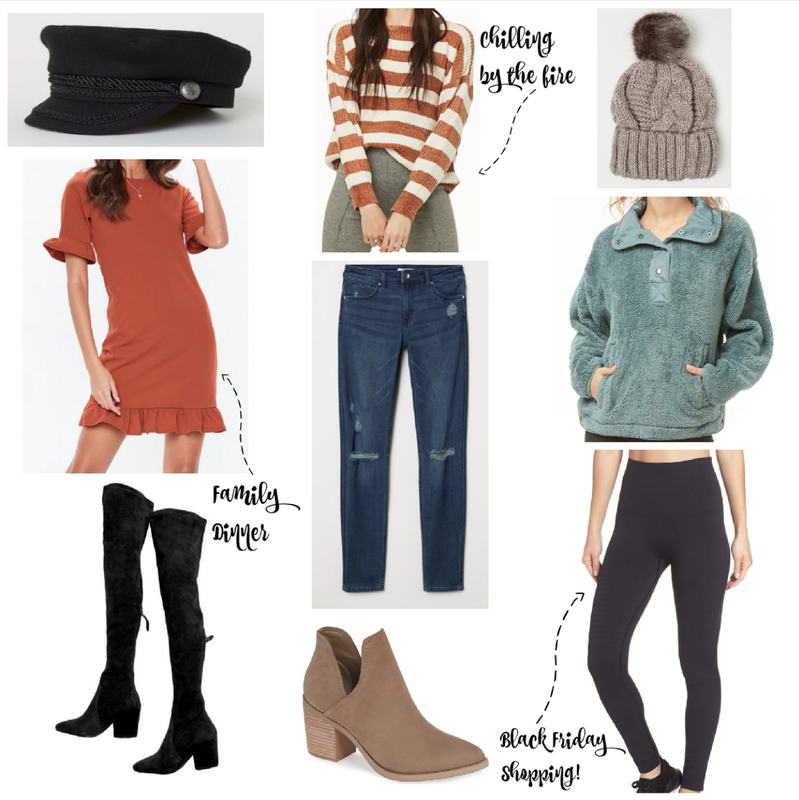 When I was putting outfits together for this weekend, I realized I usually end up sporting three different looks throughout the course of Thanksgiving Day each year. My family always dresses up nice for family dinner (a tradition I love!) and then we end up changing into something more comfy for relaxing by the tv in a food coma, playing football in the yard, watching the parade and taking our annual family pictures. My sister and I usually end up changing into comfy clothes to talk about our Black Friday game plan and hit the stores. We don't usually go all out, but sometimes we will hit up one or two stores if theres something we are trying to find. Last year we ended up going to one store and then sitting in the parking lot for hours just drinking coffee and talking! The best memories for me are during Thanksgiving and I am so excited for this year! Love your pick! That Faux Shearling pullover is so cute.